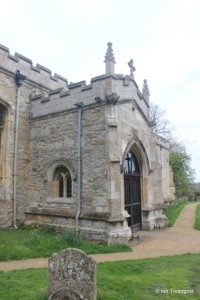 The church of All Saints in Riseley is situated at the end of Church Lane to the north of the village. Limited parking is available on Church Lane near the church. 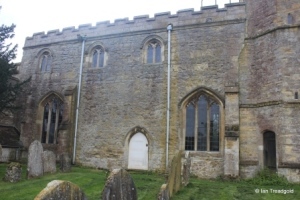 The church in its current form consists of a nave and chancel with a south aisle with chapel to the same length as the chancel. 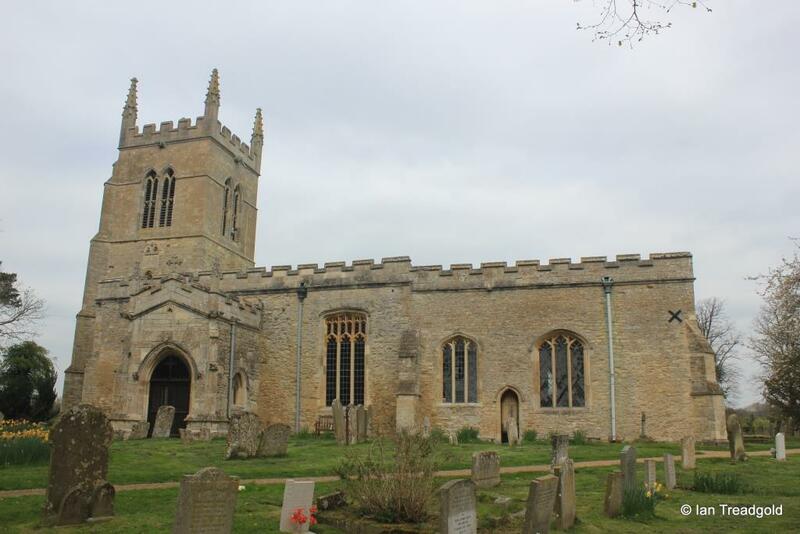 There is a west tower, south porch and organ chamber to the north of the chancel. The chancel is around 33 feet long and 17 feet wide with the nave adding a further 45 feet. The south chapel is around 31 feet by 16 and the south aisle adds a further 47 feet. The tower is around 13 feet by 14 feet and some 60 feet high. 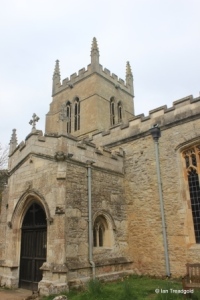 The architectural history of the building is confused as to whether the south aisle and chapel formed the original nave and chancel before a new nave and chancel was added to the north with the original nave and chancel becoming the south aisle and chapel. An alternate view is that the present nave was the north aisle to the chancel. 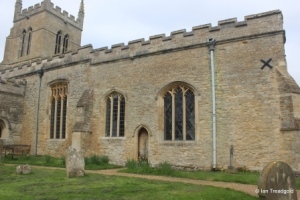 Whilst the current north side of the church dates from C15, it was rebuilt at that time and a north chapel or chancel was added in C14. 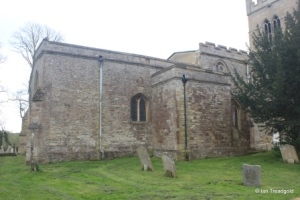 Parts of the current south aisle date from C12 with the chapel dating from C13. The tower dates from C15. 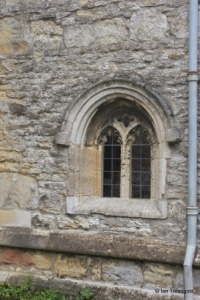 The south side of the south chapel has two windows surrounding the priest’s door. Both windows are of three cinquefoiled lights under four centred arches with the mullions extending to the arch with no tracery above. 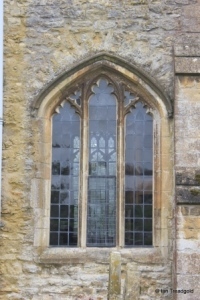 The eastern window is wider with a more rounded arch compared to the western which is more pointed. 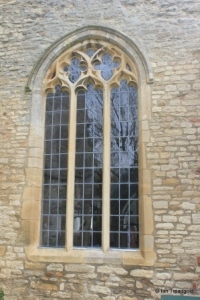 In the south aisle, there are two windows surrounding the south porch. Both are of three cinquefoiled lights with perpendicular tracery above under four centred arches. 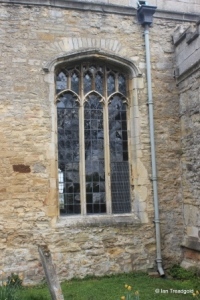 The eastern window is considerably flattened and has been restored more recently than the slightly more pointed western window. 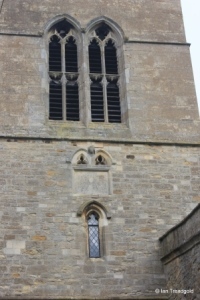 The south porch dates from C15 and, like most of the rest of the church has an embattled parapet. 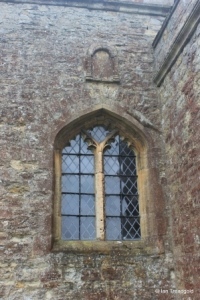 The exceptions are the north side of the chancel and the east end which have a plain parapet. 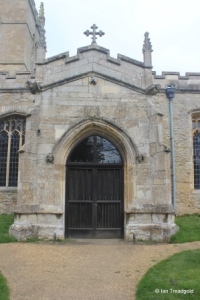 The porch has crocketed pinnacles over the diagonal buttresses with grotesques above on the angles. 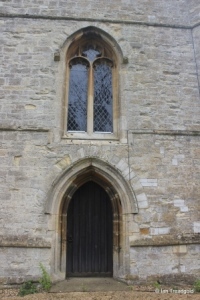 There are two-light windows to the east and west of the porch and a small statue niche above the entrance. 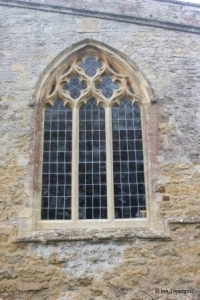 The restored west window of the south aisle is of three tall trefoiled lights with quatrefoil tracery above under a two-centred arch. 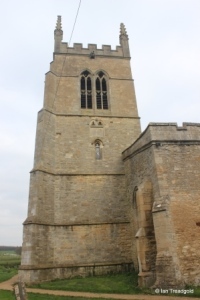 The west tower is of four stages with tall belfry lights of conjoined trefoiled two-light openings with a transom below. The parapet, like the porch is embattled with crocketed pinnacles in the corners and gargolyes on the cardinal faces. There is an external stair in the north-east corner. 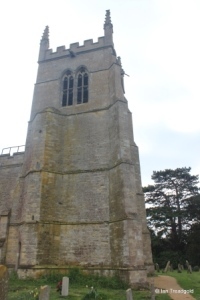 The south side of the tower has a single light under the remains of a sundial. 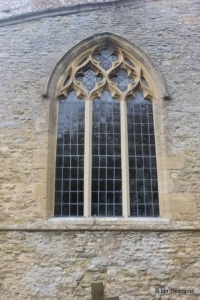 The west window is of two wide flattened cinquefoiled lights with a quatrefoil design above under a two-centred arch. 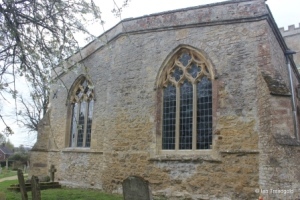 The north side of the nave has two windows around the simple north door with three two-light clerestory windows above. 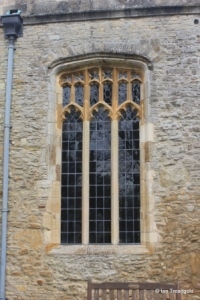 The two windows are of similar designs being of three cinquefoiled lights with the centre light rising to the four-centred arch above. The north side of the chancel has the organ chamber at the west end with a single two-light cinquefoiled window under a four-centred arch. Above this is an arched tablet with an inscription dated 1684. 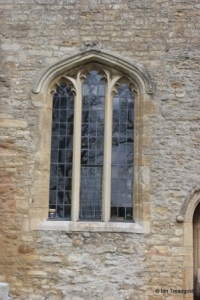 The east end of the church brings together the east windows of the chancel and the south chapel. 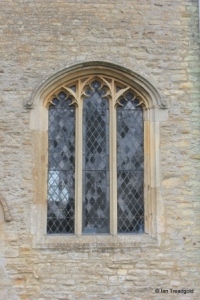 The two windows are of similar design with three trefoiled lights and quatrefoil designs above under two-centred arches and date from C14.